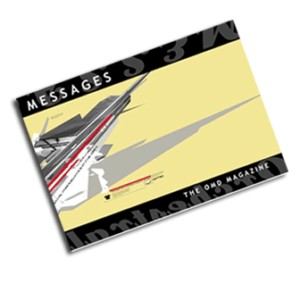 Get the entire Messages archive in one complete set. 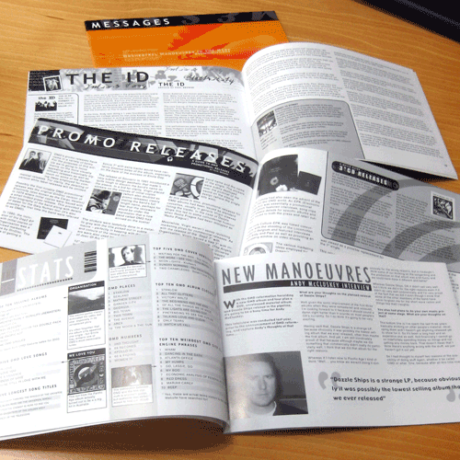 Featuring articles and interviews with Andy McCluskey, Paul Humphreys, Mal Holmes, Martin Cooper, Paul Collister and Carol Wilson. 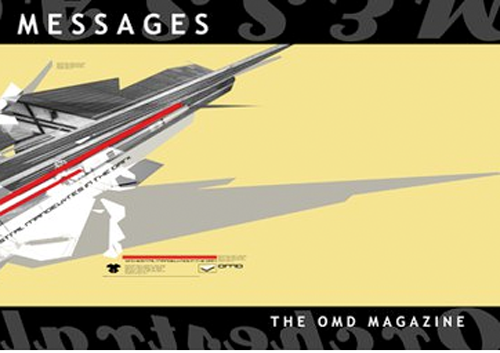 Special features on The Id, Electricity, the OMD Discography and much more. 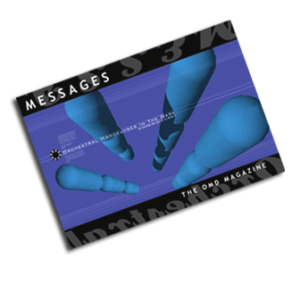 Get the entire Messages archive in one complete set and save money! 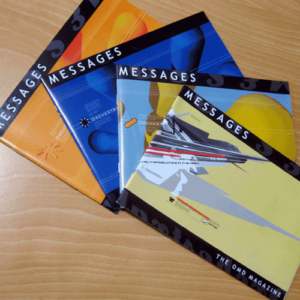 This set features Messages issues 1 to 4. 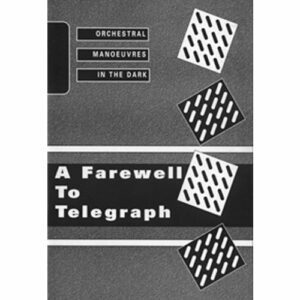 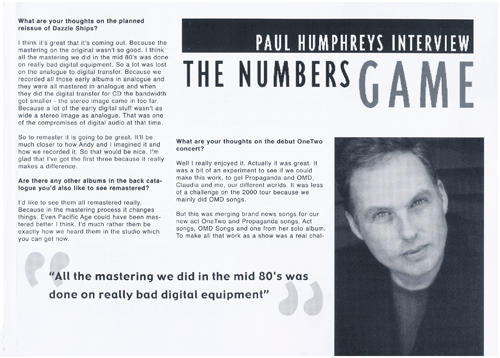 Among the articles are interviews with Andy McCluskey, Paul Humphreys, Mal Holmes, Martin Cooper, Paul Collister and Carol Wilson. 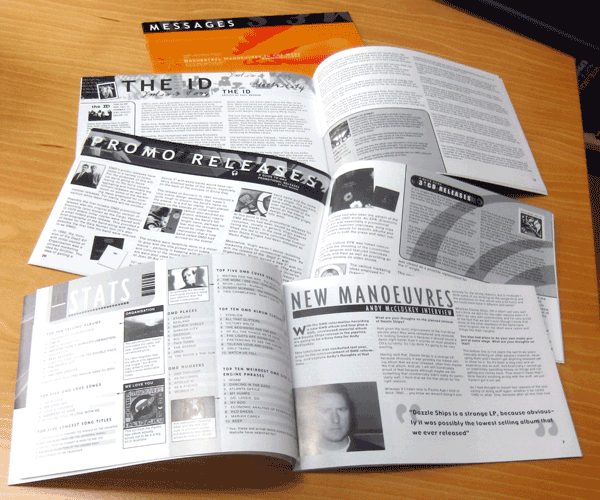 Special features on The Id, Electricity, the OMD Discography and much more. 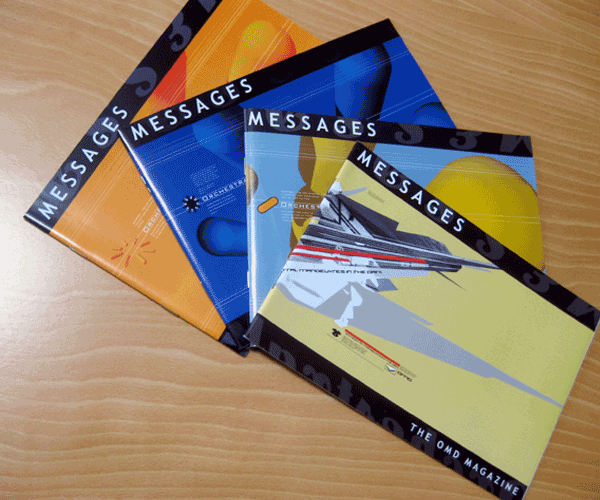 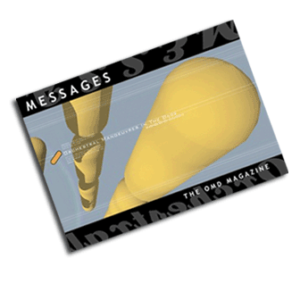 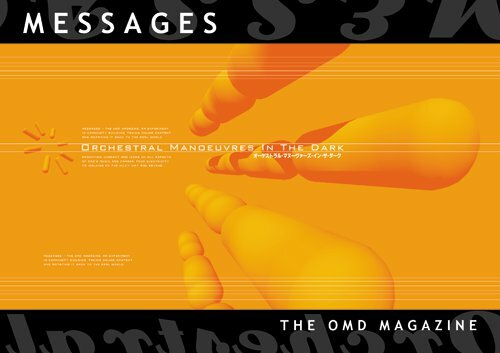 Each issue of Messages is a glossy publication and features a full colour cover. By buying them as a set you save £1 if you bought them individually.